Wine blog: Bobal, oh what a find! 6˚Elemento 2013, Bobal from Spain: "The smell is intense with great depth and the taste reminded us of the first time we tried a 2004 Barolo from Andrea Oberto". During our recent weekend in Valencia and following a local recommendation of which wine shop to ‘explore’, we visited Bodegas Baviera. Baviera was established in 1870 and is a wine treasure trove just off the main square next to the cathedral. As the glass doors slide open we were greeted by the owner, a wine enthusiast with a great white beard who we later named ‘Father Christmas’. When we asked for his guidance to recommend some local wines his eyes lit up at the prospect of being able to talk about Spanish grapes. We explained our background – I’m Italian, have an English wife and we live in France. My favourites, if I have to compare against the Bobal grape, would be Barbara or Granache (my wife prefers Nebbiolo). It turns out that ‘Father Christmas’ has visited Italy and knows Nebbiolo. He recommended we try a Bobal wine. My wife and I immediately frown as we’d drunk two different varieties already (we were visiting the wine shop on day 3 of our vacation!) and hadn’t been impressed. We explained this and he promised that this particular one wouldn’t disappoint. We left with a bottle of 6˚Elemento. That night, back at our rental apartment, we tried the 6˚Elemento. OH MY! The smell is intense with great depth and the taste reminded us of the first time we tried a 2004 Barolo from Andrea Oberto (La Morra). We smiled at each other at the thought we’d found another great wine. Bobal, with its dark skin, has great natural tannins and also remarkable acidity, rendering it a very balanced wine. The name Bobal derives from latin “bovale” meaning bull, because the shape of the grape reminds the bull’s head. Quiet appropriate for a Spanish wine!! 6˚Elemento costs around €18 and compared to the two other varieties we’d tried earlier in our vacation at €5 and €12, it just goes to show that you shouldn’t dismiss a grape until you’ve tried the whole broader range – Chardonnay is another great example of this scenario. The next day, our last, we returned to Bodegas Baviera to buy a case of 6˚Elemento. We were so excited. Once back in France we laid the bottles in the rack – they looked good (only a wine enthusiast can get excited looking at bottles on a wine rack!) We’d decided to save the bottles for ‘special occasions’ as it’s definitely a wine that you can wait to drink. But, we couldn’t contain ourselves – was it really as good as we’d remembered or had we gotten over excited whilst on holiday? OH MY 2! It was as good as we’d remembered and more. We are already planning our next trip to Spain not only to buy more 6˚Elemento but also to seek out other great Spanish wines. Max is Duck & Truffle's wine specialist. He has more than 25 years experience in Relais & Châteaux and Michelin-starred restaurants across Europe and the Far-East. Thanks to his travelling he is multi-lingual in 5 languages (Italian, English, French, German and Spanish - plus a little Japanese!) and has a passion for food and wine. "I've always been surrounded by wine - I grew up on a vineyard in Piedmont, North-West Italy and now live in the heart of the Dordogne surrounded by Bergerac wines. I've had the opportunity to taste and visit some of the best, and also lesser known vineyards of these regions. As well as living in and around vineyards, I've worked in the food and wine industry for over 25 years and passed a sommelier course in Italy. 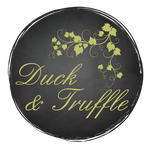 In 2016, I changed my profession and no longer work in restaurants giving me more time to share my wine passion through Duck & Truffle". Read more from Max's wine blog or join him on a wine tour of the Bergerac vineyards.